Support our Earth Mission staff making a difference in the field. Since LD is a PhD and licensed engineer, he started Earth Mission with engineering and business projects. His wife, Sue, managed the accounting and board requirements for a nonprofit organization. Their first and biggest project was to create a building truss manufacturing business in Mexico. A group of men would get together and help with the design and fabrication of jigs and fixtures to build these steel trusses. LD did the finite element analysis to properly size the steel members. Church widows donated tools such as welders, because they did not know what to do with their deceased husbands’ tools. They loaded an old school bus with all this equipment to fabricate trusses, and another volunteer drove the bus to Mexico. A number of them went down to get the business started. They gave the business to a pastor and he found a skilled partner. They started to build trusses for churches, and other products such as doors and hydraulic lifts. They operated successfully for four years. Another project was started by one of LD students at John Brown University (JBU), Scott Coverdale. LD taught mechanical engineering at JBU and worked for Jim Pearson (his daughter-in-law’s father) who was Chair of the Engineering Division. Earth Mission was the funding support using their nonprofit status. Scott and his brother-in-law started a foundry making aluminum pans out of recycled aluminum. The brother-in-law was an anthropologist, and they picked a man from the Dominican Republic to be the owner. That foundry in the Dominican Republic is allegedly still operating. The skill of the anthropologist made the difference in this project being a long term success. Laura has a Bachelors of Fine Arts in Painting from State University of New York, College at New Paltz. She has had a wide variety of employment, including: Prison File Clerk, Freelance Artist, Picture Framer, Factory Seamstress/Trainer, Care Giver, Life Skills Instructor, Cashier, Dining Room Hostess, Bookstore Manager, Housekeeper, Organizational Consultant, Copy Editor, Bookkeeper, Property Manager, etc. This diversity has served her well in her current position with Earth Mission. She is actively involved with the creative worship décor team at Outreach Center Church. She is a proud aunt of two amazing nieces. So, the traditional milestones in Dan’s life would probably be described on the following timeline: Birth and childhood. Growing up in rural settings gave Dan plenty of life experiences early: riding horses, driving tractors, riding bicycles, helping his dad in various unusual projects, making maple syrup, working on tractors, carrying lumber, splitting firewood, building forts, climbing trees, collecting berries, etc. Dan graduated from high school, and followed his father’s path of engineering education. During this time, he enjoyed construction – building a house in the US, houses and churches in Mexico – fabricating industrial machinery. He then graduated from college and began working with his father in a small engineering business. He learned many things here from engineering to business development to leadership to accounting and more. This is still a big part of his identity. Marriage and family. Of all the things that he’s doing, this is his big job – being a husband and dad. He and his wife, Deanna, of 25 years are blessed with four wonderful and unique kids. After 24 years of working in, and later running an engineering business, they decided to move to Thailand to join the work of EMA. They have been given a unique opportunity to be part of what God is doing in Southeast Asia with Karen people. Dan’s experience in small business helps in the administration of EMA, and engineering experience is a needed support of the medical program. And while he teaches things like engineering technology and finance, he finds that the wonderful people here teach him more important lessons of joy in hardship, laughter in the face of danger, strength in humility, hard work without being defined by it, and putting others before self. 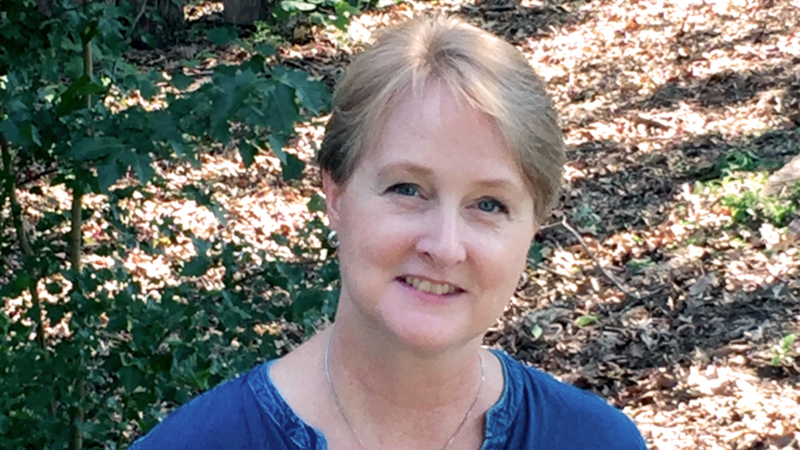 Caryl is a graduate of the University of Arkansas for Medical Sciences with a nursing degree. She worked in Neurosurgical ICU in Arkansas, Tennessee and Michigan for 10 years. In 1993, she and her husband Mitch moved to Pakistan with their 2 boys, Josh (7yrs) and Luke (3yrs) and helped to open the Gilgit Eye Hospital. She worked in the surgery and medical administration. In 2002, they moved to Chiang Mai, Thailand after the attack on their boys’ boarding school at MCS Pakistan. From 2002 to 2007, she volunteered with MCS and CMIS (international schools) doing visa work, health checkups, and then Parent Teacher Group president for two years. Ten high school students and several young 20s lived with them during these years. Since 2008, Caryl has been volunteering with Earth Mission’s medical projects managing staff, finance, medical supply, and facility. She is currently the Board Chairman of the Earth Mission Asia Foundation, a registered Thai foundation and is also the donor liaison between the US Office and our EMA project. 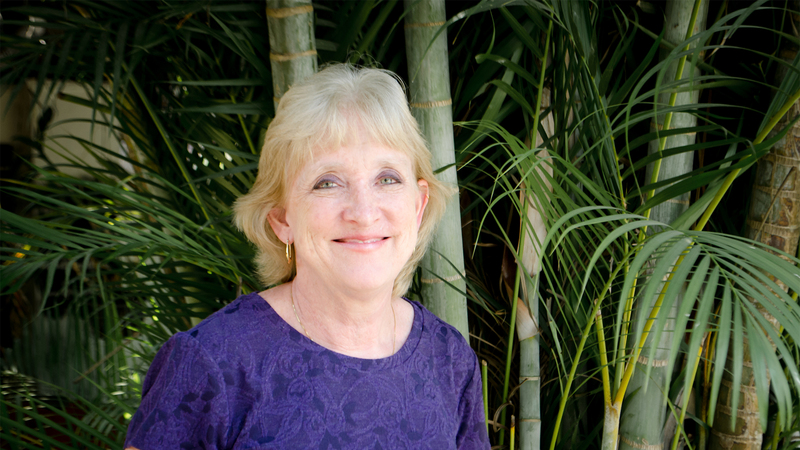 Caryl really enjoys helping people realize and implement their God-given passions. She has been married to Mitch Ryan for 34 years and they have 2 grown sons, one daughter-in-law, Amy, and 2 wonderful granddaughters, Linnea and Lucia. Growing up in Southern Michigan, Mitch’s beverage of choice was milk. The thought of cold milk and warm cookies still elicits a Pavlovian rumble deep inside. Taking a hit on his budget after graduating from Vicksburg High School, Mitch settled for water at Wheaton College and then at Wayne State School of Medicine. He married Caryl, from a quiet, no-nonsense, plain-black-coffee-drinking family with Swedish roots. Believe it or not, Mitch made it through Medical school and residency in Family Practice at Bristol TN without any caffeine addictions. No major changes in drink habits surfaced during his time with the US Air Force where he paid back time for their financial support of his medical school bills. His fall from non-caffeined grace started in Pakistan. As the Project Director of the Gilgit Eye Hospital, it was absolutely imperative to their successful integration into local society to partake in the chai ritual. Especially high in caffeine, the innocent looking “driver chai” could keep one awake for days. Often, the good doctor took a bit of Inderol to counter the caffeine tremble during cataract operations. His further decent into the caffeinated world was aided by the notoriously bad quality of available drinking water in Pakistan. Rehydration options included Coke, Mecca Cola and, for a time, Pepsi. Ironically, it was in this strict, no-alcohol setting that Mitch began enjoying an occasional glass of wine. It was very occasional because they had to make all of their own wine. Joining another humanitarian relief organization based in Thailand, however, opened a whole new world of drink. Famously, the ubiquitous corner “7-11” held seemingly infinity choices of new drink options: Red Bull, Big Gulp, cold coffees, juices of exotic new fruits. And finally, after a long and commendable resistance – and largely due to his work with the Karen people – Mitch caved in to coffee. Caryl didn’t consider “Super Creamy Birdy” mix real coffee, but it was the beginning of the end. A few years later, as Program Director for Earth Mission Asia (with a mission to bring healthcare to remote villages), we find Dr. Mitch solidly addicted to black coffee. On his latest trip to a board meeting in Myanmar, he packed a French press and freshly ground coffee beans from Thailand. He is a shadow of the young, caffeine-pure youth of old. Carolyn wants to live in a world where healthcare is available to those in need, in spite of ongoing conflicts and rugged terrain. She believes that political parties and towering mountains cannot dictate the way people love and serve each other. As a nurse in preparation for missions abroad, she worked in emergency rooms and trauma centers in Georgia, Florida, Alaska, Washington DC, and Arizona for five years. During that time, she also joined crises relief efforts in Haiti following the 2010 earthquake and the ensuing cholera outbreak. 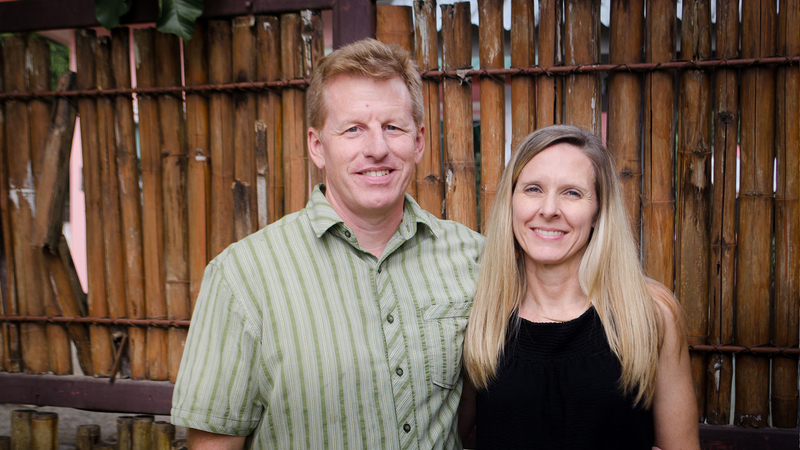 In 2013, she met Dr. Mitch and Caryl in Chiang Mai, Thailand and was intrigued by their vision and commitment to healthcare in difficult places. After trailing Dr. Mitch to the jungle, she was captivated by the strength and beauty of the people living in these remote villages. 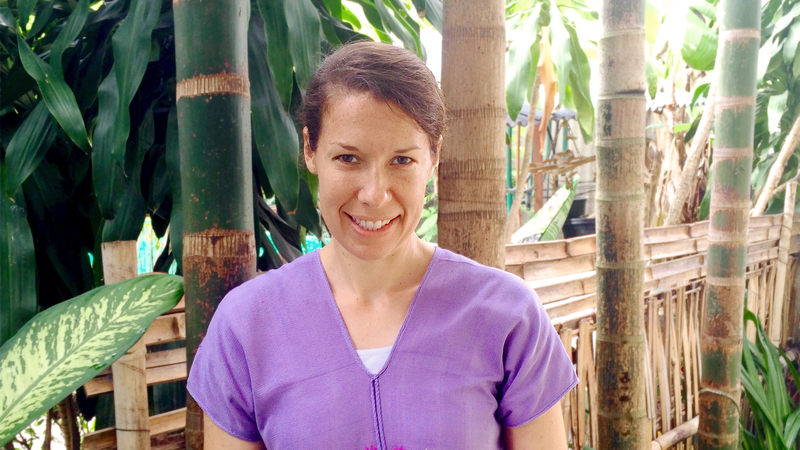 And so she joined the Earth Mission team to help train healthcare providers from remote areas in Myanmar. When she is not busy with students, trainings, or clinic support, she enjoys exploring a new jungle path, climbing a mountain, or wandering through a village among a people she has come to respect and admire. Tyler grew up on a dairy farm in the heart of Georgia’s farmland. Most of his days began earlier that he would have liked, as the cows were quite demanding in their need for relief from their creamy burdens. Little did he know at that time that the laborious farm work and team spirit required to keep a dairy operation running smoothly was equipping him for future experiences. Exploring the Georgia woods and fishing her creeks and beaver ponds instilled in him a love and appreciation for the outdoors and nature. When he finds himself back home in Georgia, he can be found on frosty mornings with his brothers and nephews hunting whitetail deer, wild hogs, and shooting ducks. Inspired by his firefighter father and other emergency response family members, he decided to pursue a career in healthcare. He graduated in 2009 and began his journey as an ER/trauma nurse. After a few years of working in Georgia, he began working as a travel nurse. Travel nursing has taken him from the mania of Washington D.C., to the blazing deserts of Arizona, and on to the howling blizzards of Alaska. From an early age, Tyler felt that the Father was calling him to respond to healthcare needs in marginalized areas. 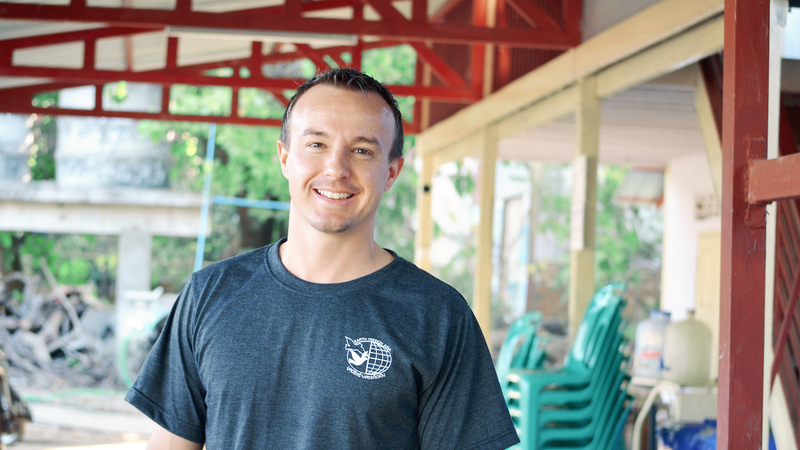 Answering that call has led him to join emergency response and medical teams in different parts of the world such as Honduras, Haiti, the Philippines, Thailand, and Myanmar. 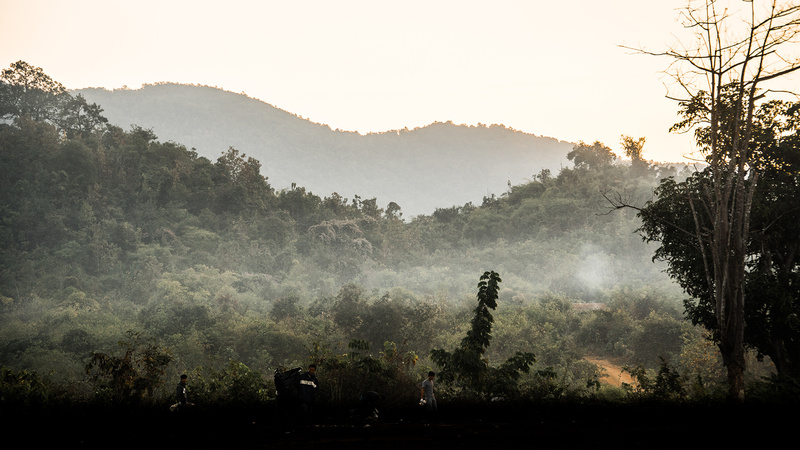 In Myanmar, Tyler has come to know the resilient people in the eastern part of the country. A deep respect and growing love for them has led him to partner with Earth Mission. He counts it a privilege to join in Earth Mission’s vision of bringing healthcare to the remote areas of Myanmar. Growing up in central Pennsylvania, Jon and Sara met in high school. Jon knew immediately that she was the one for him, and his dreams came true when they married in 2001. Soon, God began to call their hearts to serve through Sara’s role as a surgery, trauma and hematology/oncology nurse, their community ministry together, foster care and adoption. Jon worked numerous jobs after high school, including commercial trucking and operating asphalt pavers before being hired by a technology firm and beginning his I.T. training. He served as a service technician for five years, earning his CompTIA A+, Microsoft MCP and Microsoft Small Business Specialist certifications. 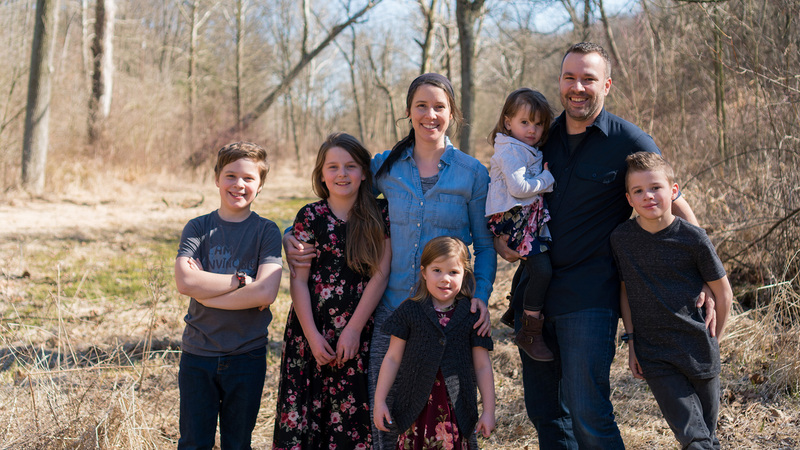 In 2011, the family left for three years of missionary service to Ghana, West Africa, where Jon served as Pastor Association Director and Bible School Administrator. Relationships built there, outreaches in remote villages, and a role in a community health clinic had a lasting impact on their priorities. Returning to the USA in 2014, Jon served as Director of Information Services at Moravian Manor prior to joining Earth Mission. Sara has been able to return to trauma nursing part time, and has found the teacher inside of every nurse as she and Jon homeschool the children. Jon loves being a husband and dad, hunting and fishing with his boys, riding ATV with his children, going to the family cabin near State College PA, and playing sports, especially volleyball and baseball. He and Sara desire to serve the Father wherever He calls, and are committed to the process of discipleship and reflecting His grace, love and forgiveness to every person they encounter. Help us make an impact, volunteer for Earth Mission. Incorporated in 1983, Earth Mission is a tax-exempt 501(c)(3) non-profit organization based in Siloam Springs, Arkansas with projects in Thailand, Myanmar and Pakistan. Receive monthly newsletters from Earth Mission and stay up-to-date on our organization’s work!